The problem of foreign drivers straying on to the wrong side of the road and killing or injuring other motorists is a vexed one. Tourism is now our biggest income earner and our economy needs the dollars, pounds and yen: but that can come at a high price. We saw frustration with overseas drivers boil over last summer when frustrated locals snatched the keys off foreign drivers and created the sort of headlines that give tourism bosses sleepless nights. Apart from trying to warn and educate foreign drivers, the car rental industry has struggled to come up with any solutions. The answer may be sitting with an Israeli company that is looking to introduce their anti-crash shield equipment here soon. 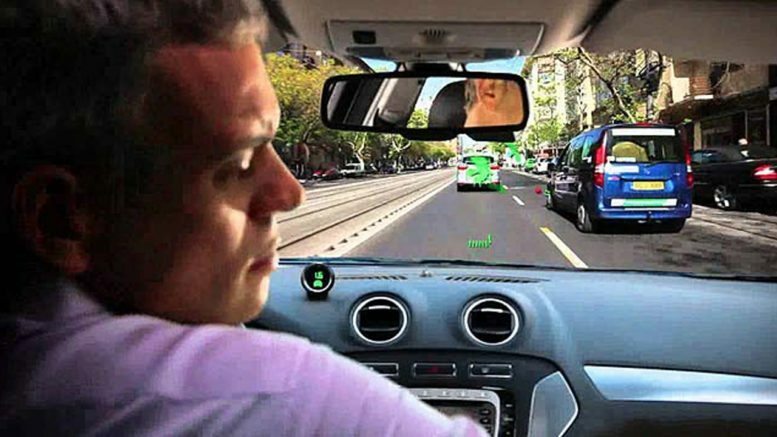 Elad Serfaty, vice president of sales for Mobileye, told me on a recent visit to the Israeli company’s offices in Jerusalem that installing their collision avoidance system in New Zealand rental cars will reduce the rate of accidents involving overseas tourists by 50 percent. The system uses a software algorithm which processes the information from a single forward facing camera that sits just behind a vehicle’s rear view mirror to collect data and identify hot spots for accidents. Serfaty says Mobileye is in talks with a rental car company and a bus company, and hopes to sign deals this year. “We can save pedestrians and cyclists from being killed,” he says. Today there are nearly 13 million vehicles fitted with its equipment from 25 different car manufacturers, including BMW, Audi, GM, VW and Nissan. In Israel, car owners with collision avoidance systems in their cars are filing 45 percent fewer claims and now receive a 15 percent discount on their insurance premiums. “This could kill some insurance companies,” says Serfaty. Mobileye, along with Google and Apple, is also at the forefront of the race to produce driverless cars, and was recently visited by a New Zealand trade mission to Israel led by Spark chief executive Simon Moutter. Worldwide, 1.5 million die in car accidents annually, while more than 8,000 have died on New Zealand roads in the past two decades – that’s only a few thousand fewer than New Zealand’s death toll in World War II. The Israeli company says the cost of car crashes could be as high as two percent of their GDP, and they believe there will be a major economic transformation as driverless cars are phased in over the next 20 to 30 years. “Autonomous or driverless cars will change whole economies,” says Serfaty. The original timeframe for autonomous cars was 2035 but the timetable got reset when Google entered the game. Serfaty says Google is aiming for an “all at once” solution but he thinks the traditional automakers will win the day with “evolution not revolution”. The race to build autonomous cars hit a serious speed bump a few months ago. In California, a Tesla-equipped with a Mobileye system and a radar system crashed into a semi-trailer, killing the driver. It was reported that the driver was watching a Harry Potter movie at the time. And Tesla is now being investigated by the US road safety watchdog after another one of its cars, believed to have been on auto pilot crashed in Montana in July. One of the major issues confronting the transport planners in the future will be how driverless cars mix with cars driven by humans. One answer, of course, is to have areas where there are only autonomous cars and no vehicles driven by humans. Serfaty predicts that Germany will be the first country to make a major move in this direction. California and Israel have trial areas and Auckland mayoral candidate, and Mobileye’s Elad Serfaty, would like to see New Zealand become a test bed for the new technology. 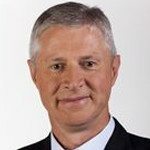 Mark Jennings was the Group Head of News at MediaWorks. He is now consulting on a number of media projects. He was recently in Israel as part of a delegation of Australasian journalists.